The PCE-TCR 200 colour device carries out an analysis of the color using CIE Lab* color space. This color device also allows you to determine the colours in the RGB colour range. By means of a source of internal normalized white light the surface is illuminated. The colour device absorbs the light reflected from the background and processes it. In addition of indicating the Lab colors, this colour device also shows RGB, Lch and HCL colour ranges. The PCE-TCR 200 colour device can also detect the distance ΔE between different colour pattern. This colour device allows you to set a limited value which should not be exceeded. 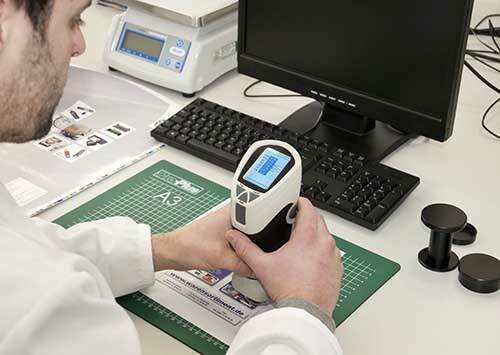 The PCE-TCR 200 colour device checks each measurement to see if it has exceeded the threshold value. Measurement of colour is taken by means of a high precision silicon sensor. The sensor detects the light reflected according to the regulations of light source D65, D50 or F11, which can be selected using the menu. The internal memory of the colour device is able to store 30 colour values into 12 groups. That allows a fast control of the colour values. This colour device is powered by 4 AA batteries. It can also be powered by an external power plug. 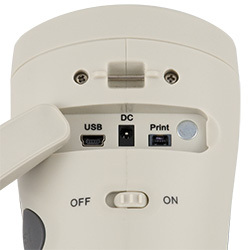 The measurement values can be transferred from the colour device to a PC, using a USB port. The PCE-TCR 200 colour device will be delivered in a resistant aluminium case. 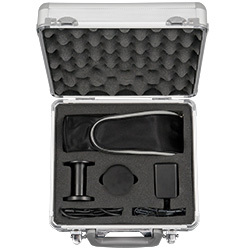 The following is also included in the delivery: Black and white test standards, a network component, a USB cable for data transmission and a case to ensure safe transportation of the colour device PCE-TR 200. If there are any questions about the colour device PCE-TCR 200 have a look at the technical specification below or call: UK customers +44(0) 23 809 870 30 / US customers +1-410-387-7703. Our technicians and engineers will gladly advise you in all colour devices and all products in the field of measuring instruments, regulation and control and scales. 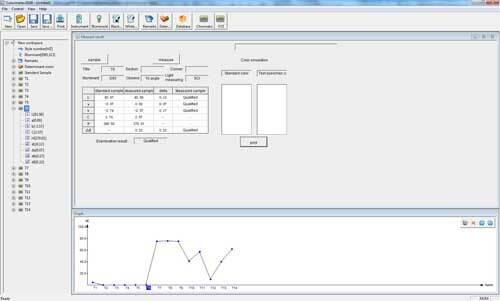 Note: In the above table only indicative values are indicated that have been obtained when testing with this color device. For other specific applications, other colour variations may also be acceptable. In such cases, the user will have to decide if the colour sample is acceptable or not. 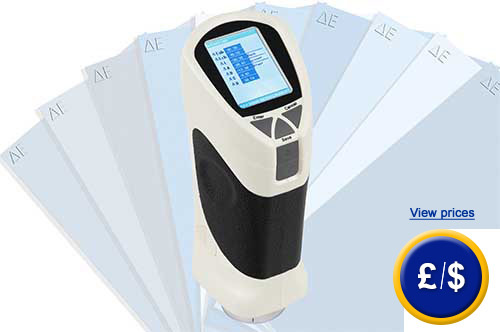 It's possible to measure ΔE of printing samples with the colour device PCE-TCR 200.